Update: the new White House Website is launched! The new White House website design: what to expect? 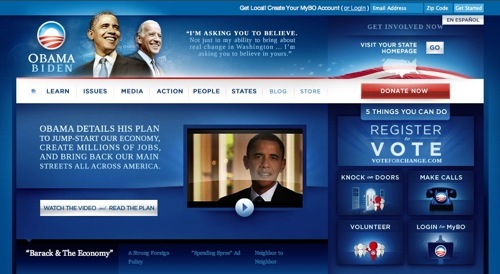 We know who President-Elect Barack Obama’s web designers were: SimpleScott, and later Walker Hamilton too. My sources tell me (don’t you have sources? 🙂 ) that Scott Thomas and Walker Hamilton are no longer working with the Obama or Change.gov website. Scott Thomas is busy working on an art collective project (VERY cool stuff). The Change.gov site is basically BarackObama.com restyled a bit. 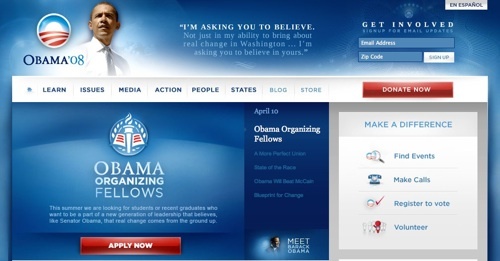 The Change.gov site uses many resources from the barackobama.com website, including most of the main CSS file. 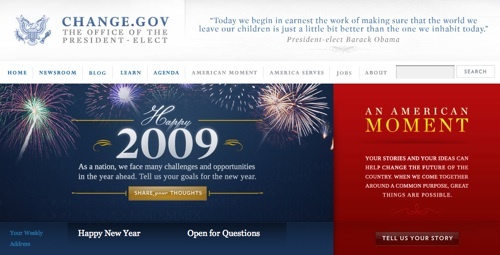 The Change.gov website was designed by Matt Ipcar. The Change.gov website’s back-end (just like the Obama website) is being handled by Blue State Digital. What can we learn about the WhiteHouse.gov web design? 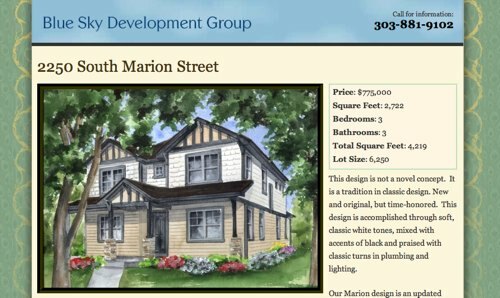 In anticipation of a magazine ad in Denver magazine 5280, we launched two static web pages featuring properties. 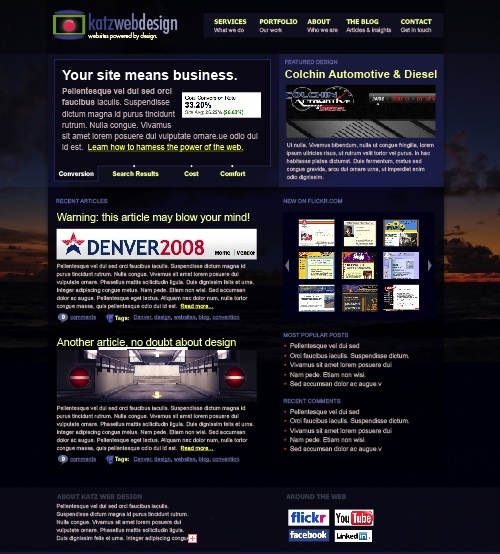 These websites are no longer active. 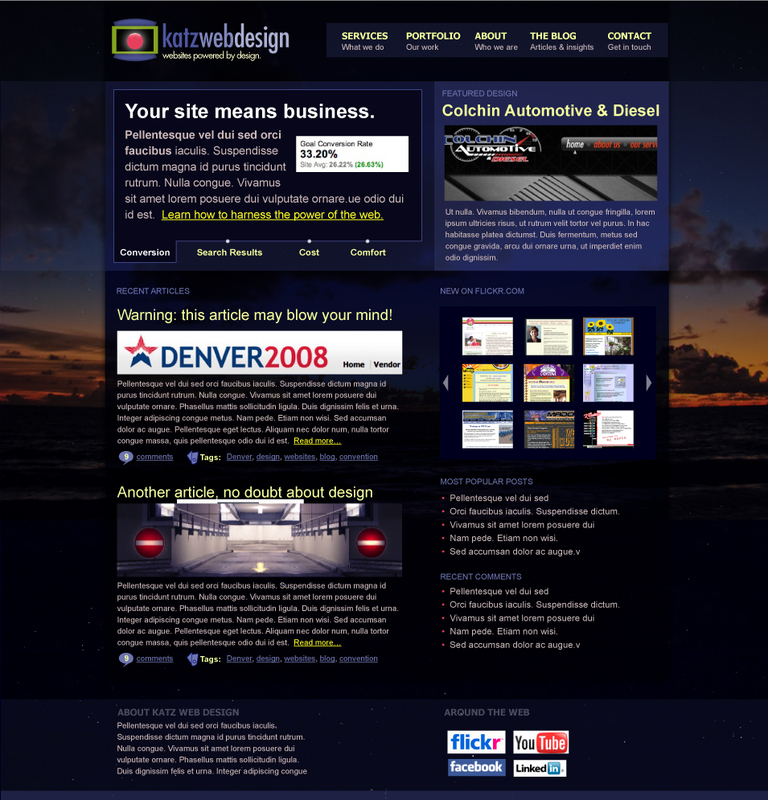 The current KWD website was never a permanent solution, but it was the direction I had been going. That has changed. I am proud to officially announce a rebranding of Katz Web Design, and give a preview of what’s to come. Click on image for a higher-resolution screenshot. I was reading an article on A List Apart the other day and found a link to a website called Tumblr. It makes blogging really easy by making it less intimidating. You choose what type of content you’d like to post, and then you do it!It’s one of the most simple signup forms around, and encourages you to post right away. I just wanted to test it out, but now I’m hooked (check out the KWD Tumblr Page). If you’re too nervous to blog, Tumble!